Glycine's new Incursore models - a mechanical and a manual version recall how this popular model began. When Glycine first introduced its Incursore model 12 years ago, it was considered one of the precursors of the big-size watches with a diameter of 44 mm. This plain and simple timepiece was immediately successful in Italy and soon afterwards gained a foothold in other markets. 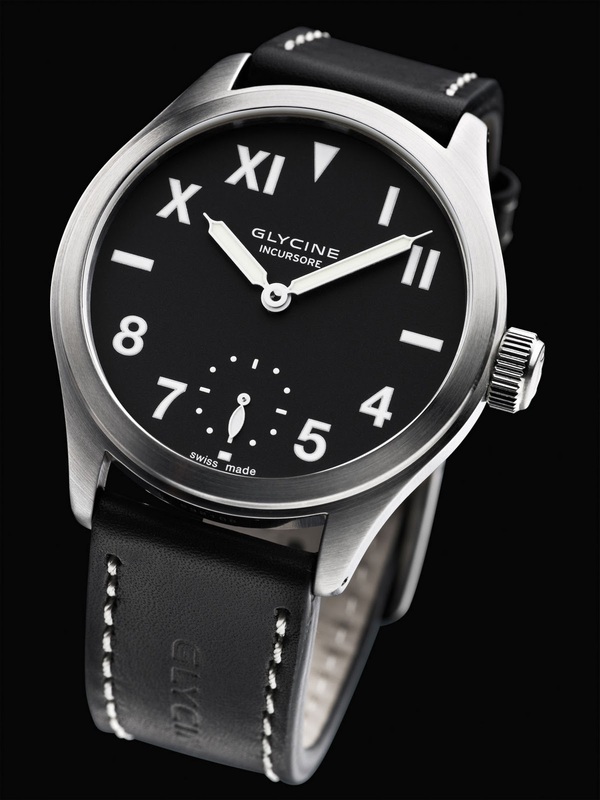 Thanks to its clear design which is reminiscent of the military watches of the 1930s, the" intruder" has become one of Glycine's most popular model ranges. After numerous further developments, including for example the power reserve, Glycine is now reverting back to the era when Incursore was first launched. The new models are visually strongly reminiscent of the first models of this line but with refinements. For example, the glass is now domed and the hands are plainer than those of previous models. It all started with the manual winder. 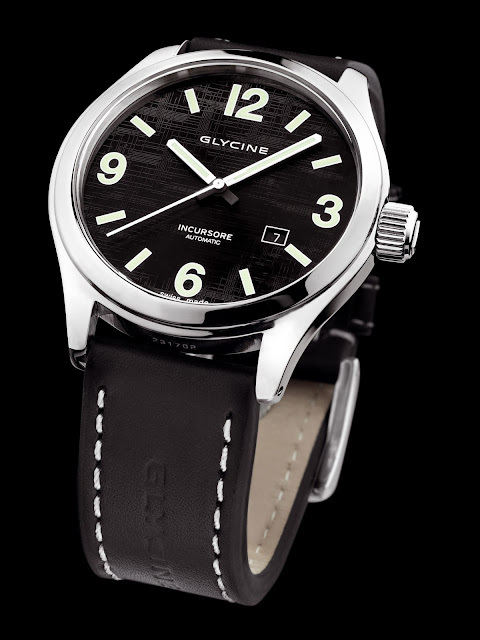 Glycine's first Incursore launched in 1998 was a manual one. Glycine's Managing Director Katharina Brechbuhler says: "This line is unconceivable for me without a manual winder." It's therefore no surprise that she has produced a manual watch in addition to the automatic model and has used the UT movement 6498 for the first time in the Incursore's history. This means that the second hand is now at the 6-o'c1ock position, which will be appreciated by enthusiasts of manual winding watches. The Incursore manual watch with satinated stainless steel case is available in two versions: the classic dial with Arabic numbers at 3, 6,9 and 12 o'clock as well as the popular Incursore Lux dial which characterized the first generation of this model. On this unusual dial, there are Roman numerals in the top half and Arabic numbers in the bottom half. appearance and colour of the watch change according to the way the light falls.